15 to 20 days after receiving deposit or L/C. 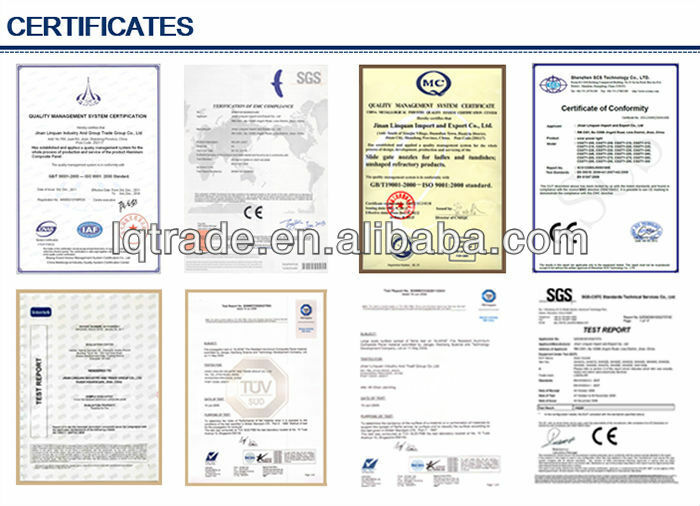 Basic aluminum: high strength aluminum alloy. Plastic core: non-toxic low density polyethylene. Surface coating: PVDF, PE paint. 2 meter width aluminum composite panel brings a new vision which meets long span and large format design requirements, satisfies various design needs and makes the cost of processings much cheaper, reducing scrap wastage, saving keel and other auxiliary material and installation costs, the 2 meter width aluminum composite panel can be widely applied to the construction sector and signage making industry and digital printing technology. Thickness: 3 mm ~ 6mm, recommended 3mm, 4mm. Length: up to 5800 mm, recommended: 2440mm, 3050mm, 4050mm. The 2-Meter sign board Aluminum composite material can be packed as follows,or according to your requirement. 1). The 2-Meter sign board Aluminum composite material Can be widely used in galleries, exhibitions, saloons, stores, offices, banks, hotels, restaurants, and apartments . 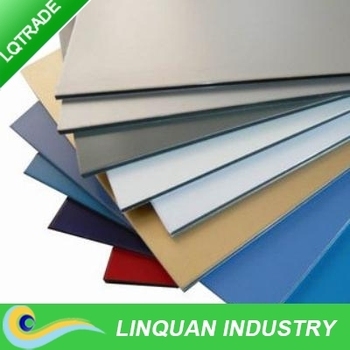 After many years' research and development,Jinan Linquan created 2-Meter sign board Aluminum composite material and the continuous process manufacturing equipment.It has been awarded the National high-tech enterprise,National new important material.The fire proof A2 aluminum composite panel and the machinery has already passed review and certification and get big support from government for commercial promotion.